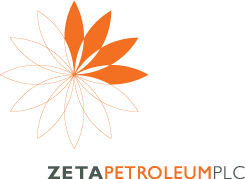 Zeta Petroleum is committed to consulting with the local communities in which it operates. The Company’s aim is to preserve and protect areas of cultural significance and work with local communities to ensure social stability. The Company’s comprehensive community investment strategy also supports long term community involvement in and around all our operations. Zeta’s programs focus on supporting infrastructure and services such as health, education, culture and social interaction. Our commitment to developing the local area will continue throughout the development and exploration phases of our operations. Zeta is committed to enhancing its relationships with the local communities when opportunities arise. The Romanian Maltese Relief Service (SAMR) was established in 1991 and is guided by the principle of an honorific engagement towards serving fellow-men. The SAMR has developed since its inception, a strong and viable network of social services throughout the country. The SAMR runs programmes for the elderly, activities of relief for the disabled, programmes for children, socio-medical assistance, spiritual programmes, disaster relief programmes and humanitarian aid. Fabrica de Pensule is the first collective project of such dimensions on the Romanian cultural scene and also one of the most relevant examples of converting an industrial building into a cultural space resulting in a collective space for contemporary arts located in Cluj, Romania. The artists, galleries and organizations – active in the fields of theatre, contemporary dance, visual arts, arts in public space, music – are jointly engaged in delivering relevant cultural content, both for the artistic community and the wider audience. Besides artist studios and production spaces, Fabrica de Pensule also hosts events of local and international partners. It acts as a major player in cultural and urban policies in the Romanian context.